TCN TCN is a network emulator that runs on top of GNU/Linux. It is implemented as an extension to the network emulator netem. TCN delays, drops, duplicates or corrupts packets based on values in a trace. The length of traces is not limited. Thus, unlike other well-known emulators such as NIST Net or netem, TCN is capable to account for important performance characteristics inherent to real networks such as long-range dependence and self-similarity of cross-traffic. TCN thus enables performance evaluation of distributed applications in lab environments. 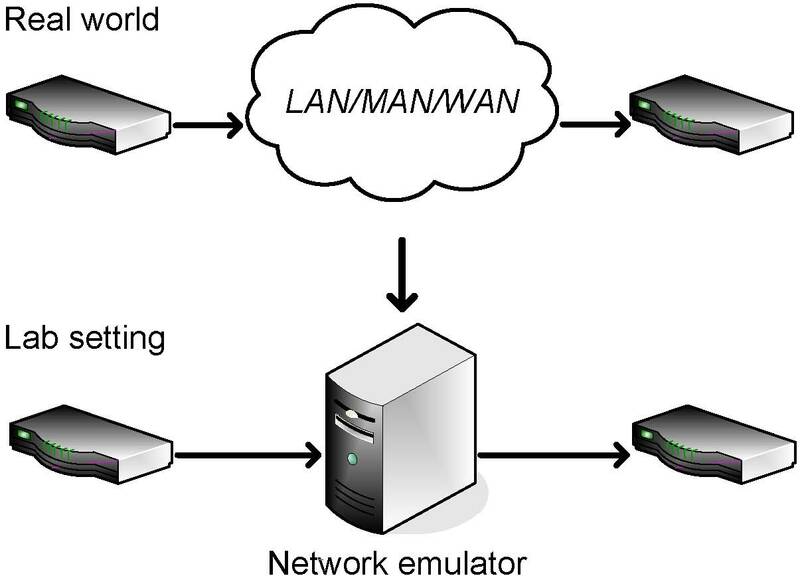 Documentation Manual tc packet filtering and netem This manual describes the tc packet filtering possibilities and the configuration of the networkemulators netem and tcn. The generation of trace files is described as well. Presentation These slides present a short summary of the abilities and the architecture of tcn. Semesterarbeit The "Semesterarbeit" describes basics of network emulation, the design and some implementation details of tcn. Evaluation results are presented as well. Written in german. - evaluating the performance of your distributed application in our lab. - providing guidelines on how you can conduct performance evaluations for your distributed application. These guidelines are based on our large experience with network measurements, network emulation and simulation.